"Product W" The Ultimate Performance Enhancer! 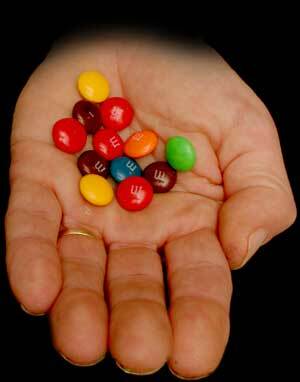 We all know that there are lots of different pills available to the athelete with various "performance enhancers." Some of them work, but are illegal. Others are legal, but don't work very well. 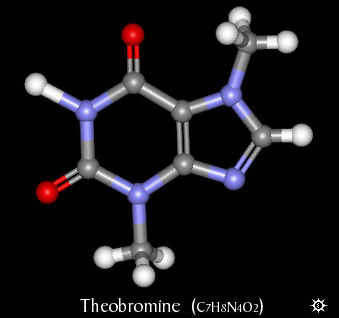 Theobromine is an all natural substance obtained at great expense from certain tropical plants. Product W contains a variety of chemicals, with the primary psychoactive components being theobromine (about 1% of total weight) and caffeine (<.1%). Other chemicals include serotonin, histamine, salsolinol, methyltetrahydroisoquinoline, phenethylamine, telemethylhistamine, spermidine, p-tyramine,3-methyloxytyramine, tryptamine, and spermine. Now, unless you're a highly trained chemist, the above material may seem like meaningless gobbledygook. What, you ask are the practical effects of using Product W? That's an easy question to ask, but not so easy to answer. Product W is primarily intended as a legal stimulant, providing the athlete with energy and promoting alertness. Reports of Product W having beneficial effects on sexual responsiveness in both males and females are widespread, but must be considered anecdotal in the absence of a rigorous research study. Due to the low melting point of the active ingredient, theobromine, we encase each dosage unit in a hard but thin candy-like shell. As a result, it won't melt in your hand. While Product W may be swallowed as with other pills, many athletes prefer to chew the pills for more rapid theobromine release. Many people actually find the flavor quite pleasant. Due to the low concentration of theobromine, usual dosage is anywhere from 10 to 30 Product W tablets at a time, repeated as desired. Product W users should avoid operating heavy machinery while under its influence, but no problem with light machinery. In the case of bicycles, it is only recommended for use with bicycles weighing 22 pounds (10 kg) or less, for this reason. Keep this product out of reach of children at all times. Product W is for human use only, and may be harmful to dogs. Excessive consumption of Product W may lead to weight gain, insomnia, skin eruptions or dental caries. Product W tablets come in a variety of cheerful colors, each with a "W" stamped on it. This product is so new that we have not yet determined the actual retail price. Whatever it turns out to be, you'll certainly want a big bag! Send us your actual credit card (not just the number!) along with a sample signature, and when the price has been finalized, we'll charge your card accordingly. Thanks to the Vaults of Erowid for technical assistance.